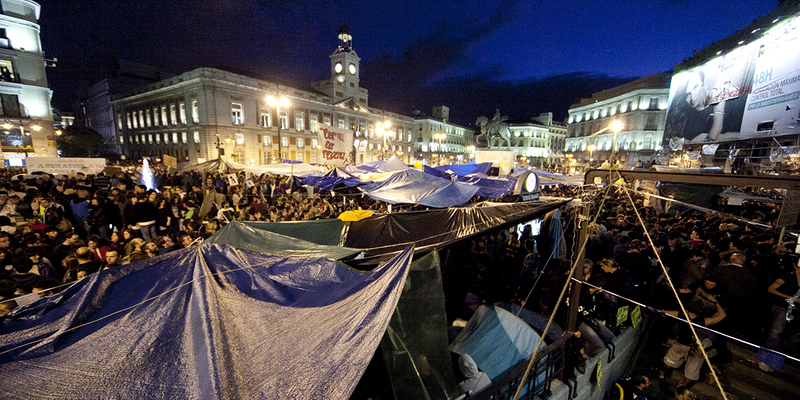 This crucial collection offers a fresh and much-needed perspective from artists and activists alike on the current Spanish fiscal crisis and the 15M movement, which influenced popular protests around the world, including the USA’s own Occupy Wall Street. 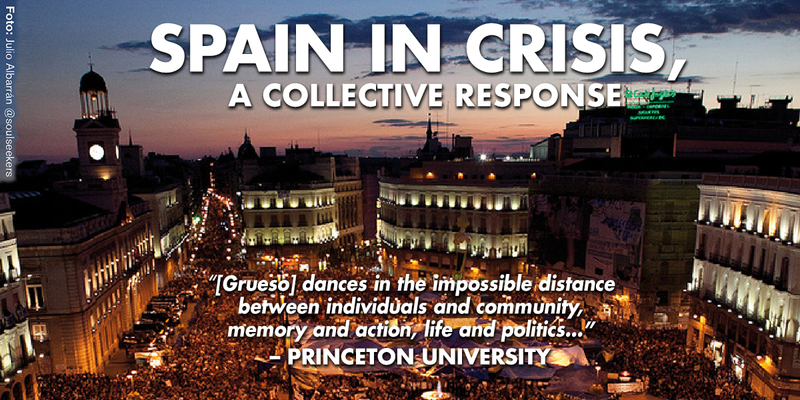 At a time of global economic crisis, Spain in Crisis: A Collective Response could not be more necessary or timely. Spanish Revolution? is a series of shorts made by prominent Spanish audiovisual artists, who attempt to observe, analyze, and understand a society weakened by the political and financial crisis. 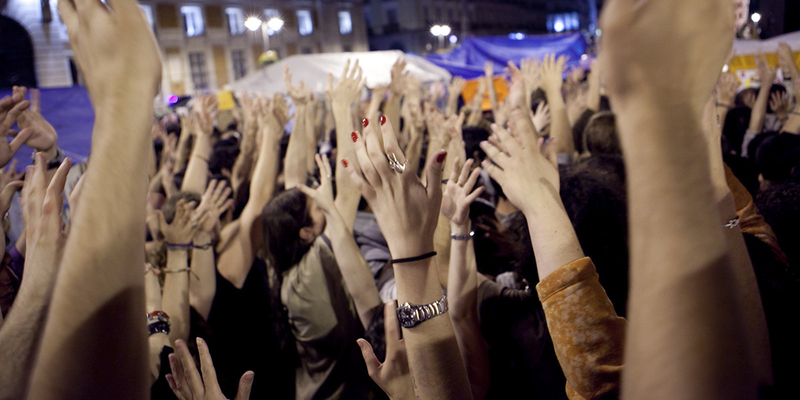 On May 15th, 2011, tens of thousands of citizens occupied streets and squares in Spain for what was going to be the beginning of the biggest social change in Spanish society. This feature documentary offers a complex portrait of a movement whose affects can be seen throughout the world, most notably in the USA’s own Occupy Wall Street. Flavio G. García is an independent filmmaker from Spain, now living in Berlin. He studied in Escuela de Cinematografía y del Audiovisual de la Comunidad de Madrid (ECAM). He makes non-fiction and fiction experimental movies, often with small formats like cell phones. Interested in film and television since he was a child, Stéphane M. Grueso developed his career in Spain and Germany, where he lived and worked for seven years. He started working in TV programs and fiction films before turning to non-fiction filmmaking. He had a great experience traveling all around Europe, shooting and editing news and reportages for TVE (Spanish Public Broadcaster) before moving into directing and producing documentary films. He returned to Spain to join the production company Elegant Mob Films as a partner. He also gave classes on Film Directing, Editing, Lightning, and Audio, as well as Non-Linear Editing and Documentary Film Production. His last film is Copyright, Or The Right To Copy a documentary + web project about intellectual property. Isaki Lacuesta (Gerona, 1975) is one of the most original and important Catalan filmmakers working today. Although a documentarian by training, his films include touches straight out of fiction and an original and fascinating fusion of genres and languages. A complete retrospective of his work, “Swimming in a Sea of Images: The Cinema of Isaki Lacuesta” was organized in collaboration by the Ramon Llull Institute, Catalan Films, and the University Pompeu in 2011. The event included Lacuesta’s documentaries, narratives, and short films. Among other projects, Lacuesta is currently developing a television comedy series. Lacuesta’s feature The Double Steps (2011) was awarded the Golden Shell at San Sebastian Film Festival. His documentary El Cuaderno de Barro (2011) received a Golden Medal at the International Festival of Audiovisual Programs (FIPA) in Biarritz. His film La Leyenda del Tiempo (2006) was recognized as the Best Spanish Film of the Year by the Catalan Critics Association. David Varela shoot in 2008 the feature film Banaras Me and the shorts Solitude – Dawn nº 1.856280, No Men´s Children, and Last Portrait, traveling with them to a large number of international film festivals. His next feature film, The Miracle, is currently in the editing stage.